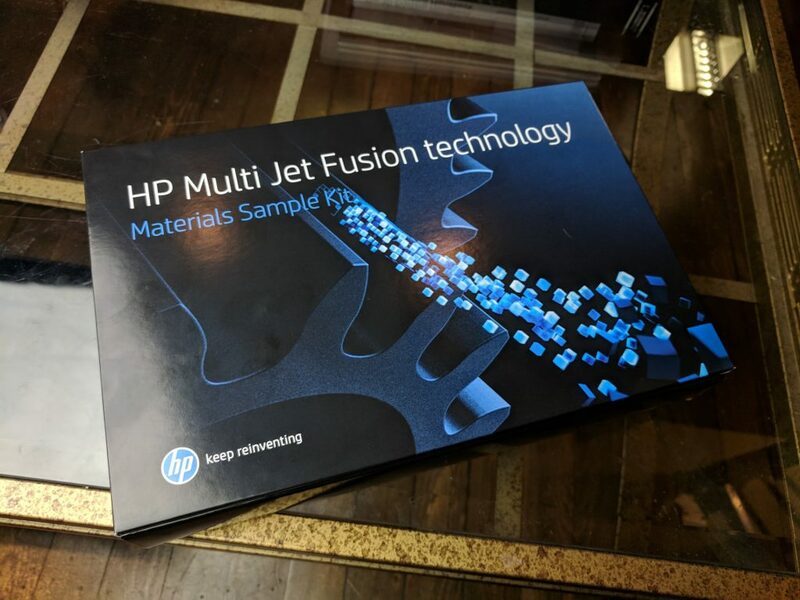 HP has announced that its Multi Jet Fusion range will receive a hardware and firmware upgrade. 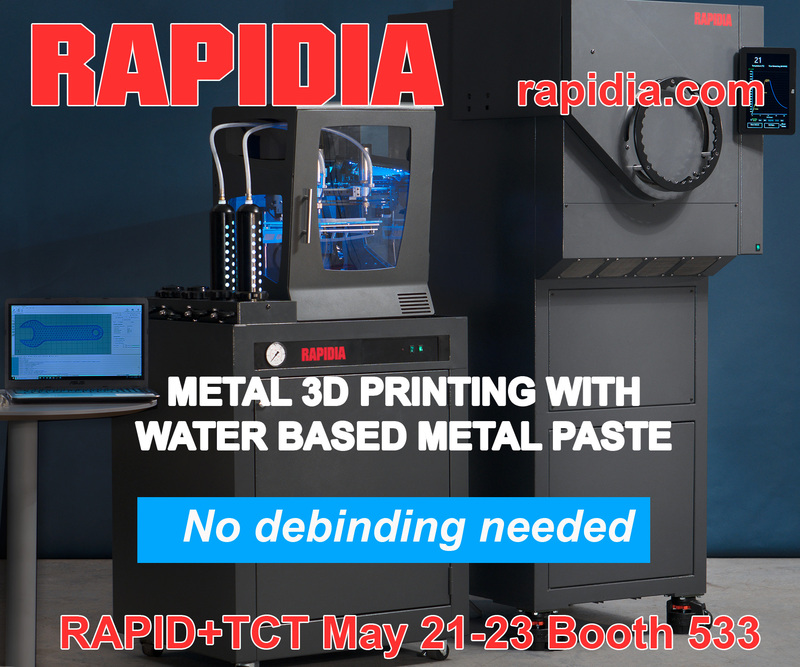 At an undisclosed price and with technical specifications pending, the HP 4210 is a 3D printing system that can be used on the 4200 system. 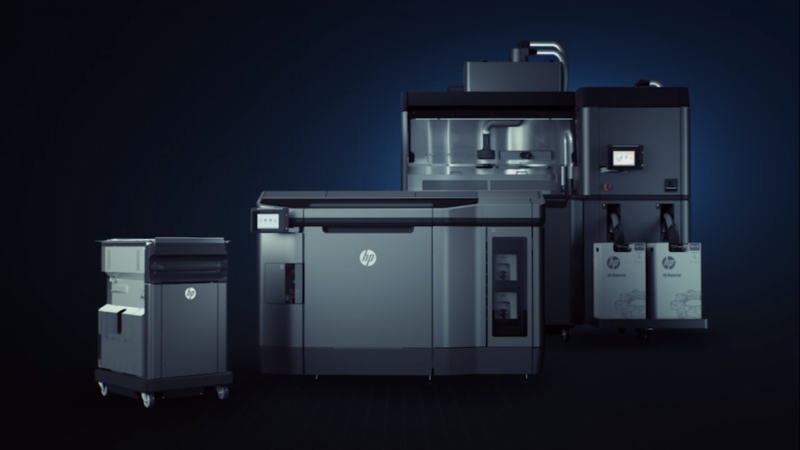 Concurrently, HP has expanded its Open Materials Platform by announcing two new commercial partnerships, and three new forthcoming materials. 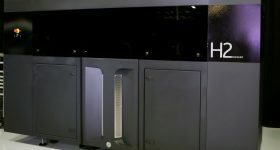 The HP Jet Fusion 3D 4210 hardware and firmware upgrades are designed to improve the overall efficiency and enable continuous print operation. 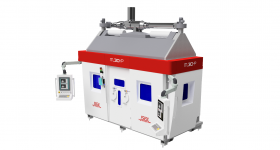 Also included in the system is a new processing station capable of handling higher volumes of material. HP have re-iterated their intention to lower overall operating costs while increasing production volumes. 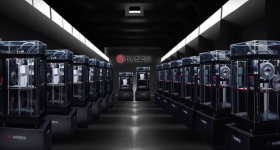 The company claims a break-even point for large-scale 3D manufacturing of “up to 110,000 parts,” meaning that the average cost of 3D printing 110,000 parts or fewer matches or is more affordable than traditional manufacturing options. 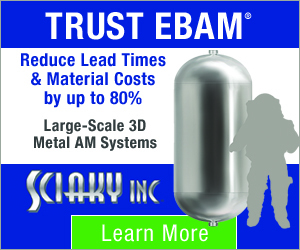 This is a message that has not gone uncontested by others in the 3D printing world. 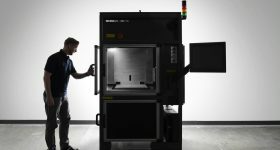 Customers for the new solution will also benefit from shared service contracts and ‘significantly lower’ pricing on HP’s engineering-grade 3D printing materials and agents. 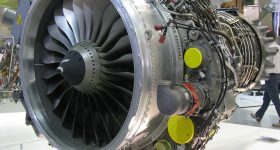 HP Fusion Jet 3D 4200 system, the predecessor. Photo via HP. 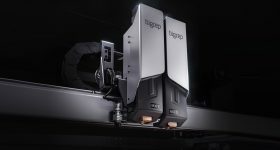 As part of its Open Materials Platform, HP has announced new materials partnerships with the Dressler Group, a thermoplastic powder manufacturer, and Lubrizol, a producer of TPU (thermoplastic polyurethane). 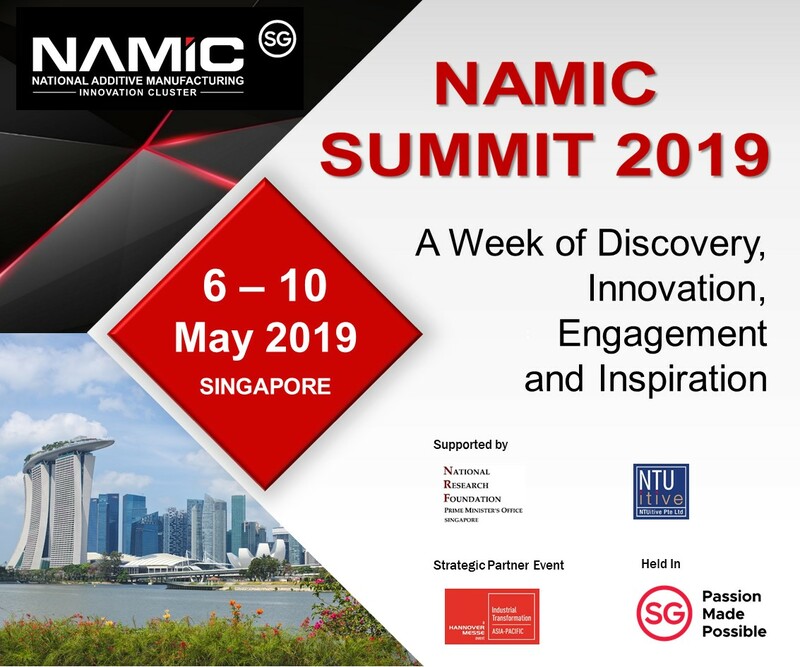 As part of the deal, the materials manufacturers will be given access to HP’s Open Materials and Applications Lab and its research tools to develop materials under the HP brand beyond the currently limited range of materials. 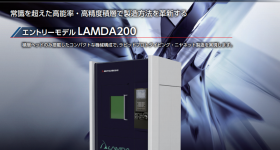 Also currently developing materials for MultiJet 3D printing, are Dow Chemical and DSM, by making use of HP’s Material Development Kit (MDK). This follow’s Henkel’s use of the MDK earlier this year. The three new MultiJet materials set to be offered by HP are the 3D High Reusability PA 11, PA 12 Glass Beads, and High Reusability Polypropylene. The final material due to be available is the chemical resistant, lightweight, and watertight 3D High Reusability Polypropylene. 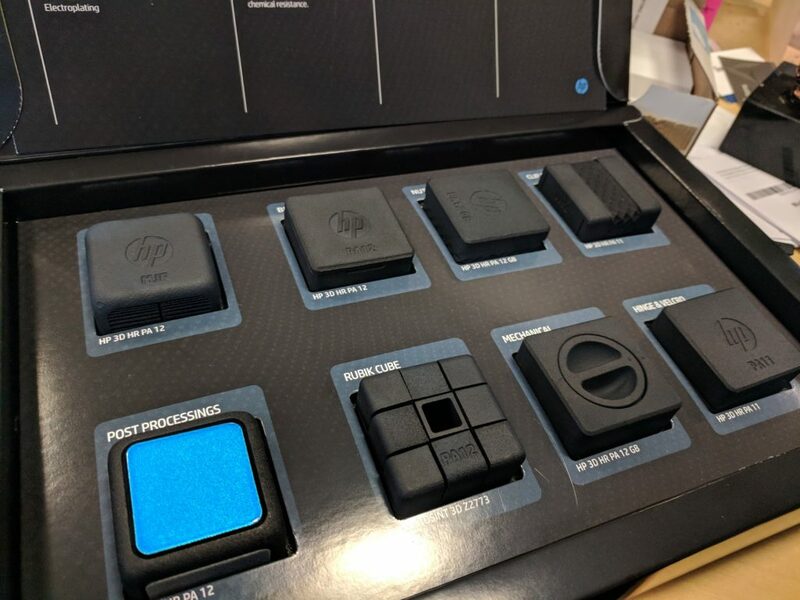 We received a sample box of HP 3D printing materials at 3D Printing Industry HQ earlier this week, and while Henry Ford’s “any color” adage still holds true – in the main – the pack does provide further illustration of the possibilities of Multi Jet Fusion. Including several post processing options. Nylon PA 11 offers impact resistance and ductility, while the High PA 12 Glass Beads material promises dimensional stability and high repeatability. The HP 3D High Reusability Polypropylene offers chemical resistant, lightweight, and watertight qualities. 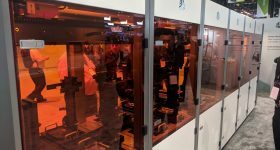 Existing Jet Fusion customers are able to pre-order the 4210 3D printing upgrade today, while new customers can purchase Jet Fusion systems now with the option to pre-order the 4210 system upgrade. The entire system will be commercially available in March 2018, prices and technical specifications are expected to be available prior to this date. 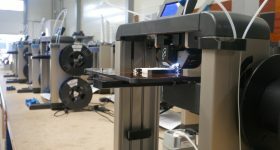 Featured image shows the installation of HP Jet Fusion 3D 4210 printer systems. Photo via HP. 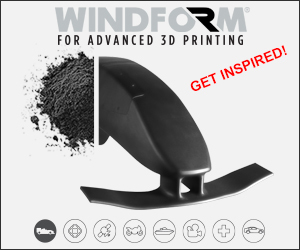 For more announcements on forthcoming 3D printers and systems, subscribe to our free 3D Printing Industry newsletter, follow us on Twitter, and like us on Facebook.